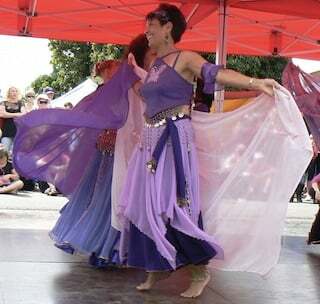 Nefertiti Dance provides high quality, entertaining belly dance and/or drumming performances for community groups, corporate events, parties, conferences, hen's nights, weddings, festivals, fund-raisers etc. We provide an exciting and varied repertoire of dances for your event, using veils, zills, cane and drum dances. The performance can include audience participation (a mini workshop) if you wish. Our dancers provide a beautiful performance with lots of smiles! Our group is famous for looking like we are having fun (because we are!). We perform regularly at Marhaba Indian Restaurant, corner Esplanade and Zephyr Streets Scarness.